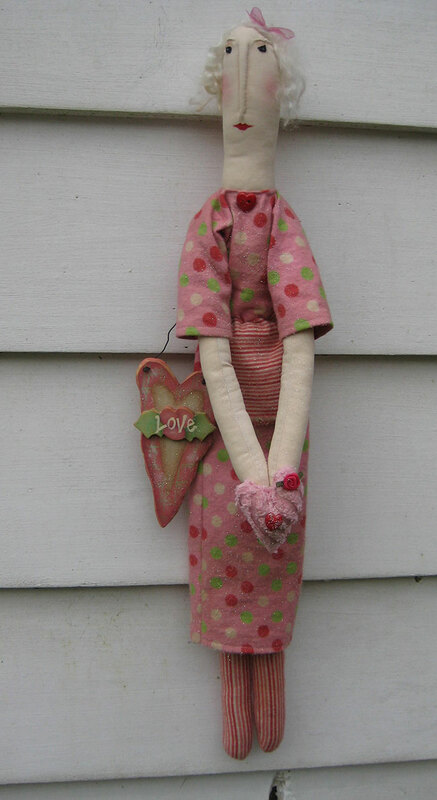 Up for sale today is this sweet 22" inch Primitive Valentine Greeter Doll just perfect for bringing in the New Year with Love! 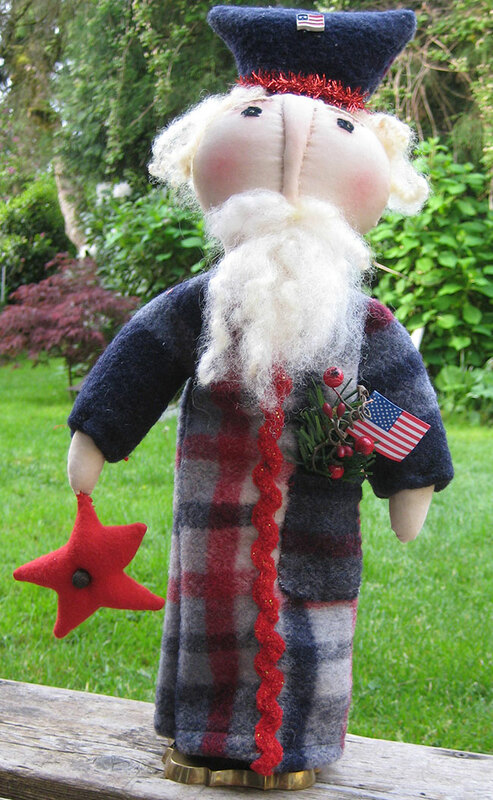 This Prim Doll is sewn from two red flannels, the top red hearts and the bottom plain red. Her head is muslin with a pinched stitched nose and brows, floss eyes, brown wool hair and painted lips. This sweetie is wearing a red tutu skirt with a red roses ribbon around her waist. She's holding a red stocking filled with sweet Annie, greenery and a few red pips, you can remove it and use as an ornament as it is attached with a ribbon. I added a wire loop on the back for easy hanging and sprinkled lightly with glitter to give a bit of sparkle. 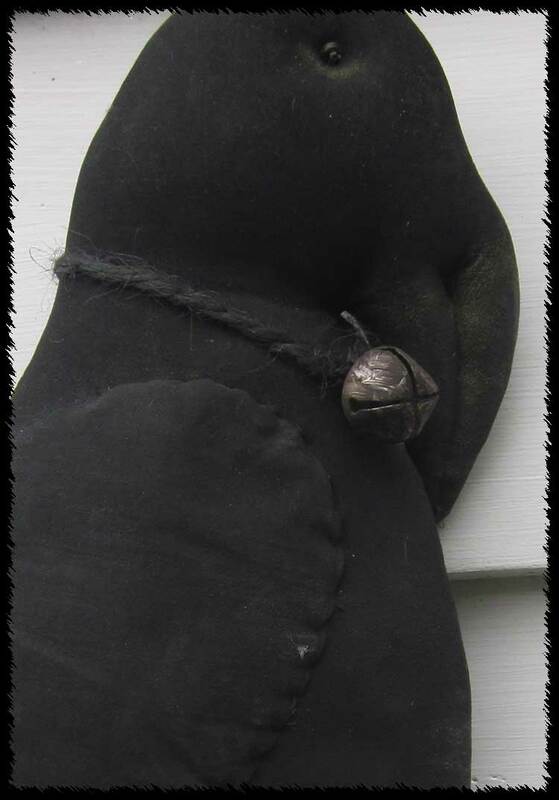 This lovely Prim doll will arrive at your home, signed and wrapped with care. A warm welcome to you... 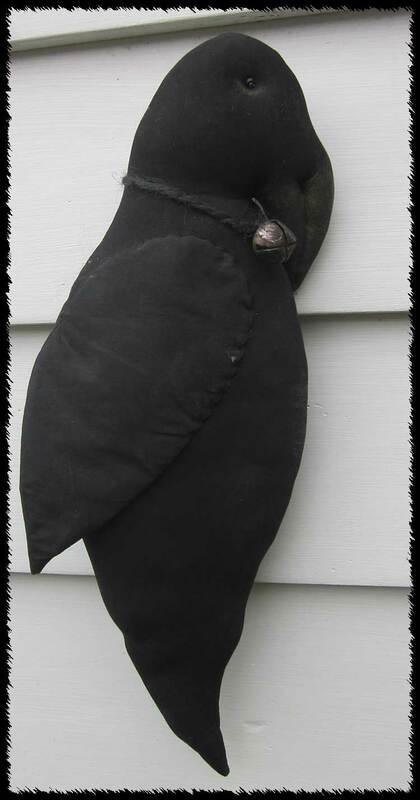 Thanks so much for stopping by, today, I offer you this fabulous 17" inch Canadiana Crow Door Doll just perfect for showing your Canadian pride! I sewed this sweet primitive crow from a fabulous Canadiana cotton with a separately sewn wing.... He is lightly grunged him to give him the look of yesteryear. 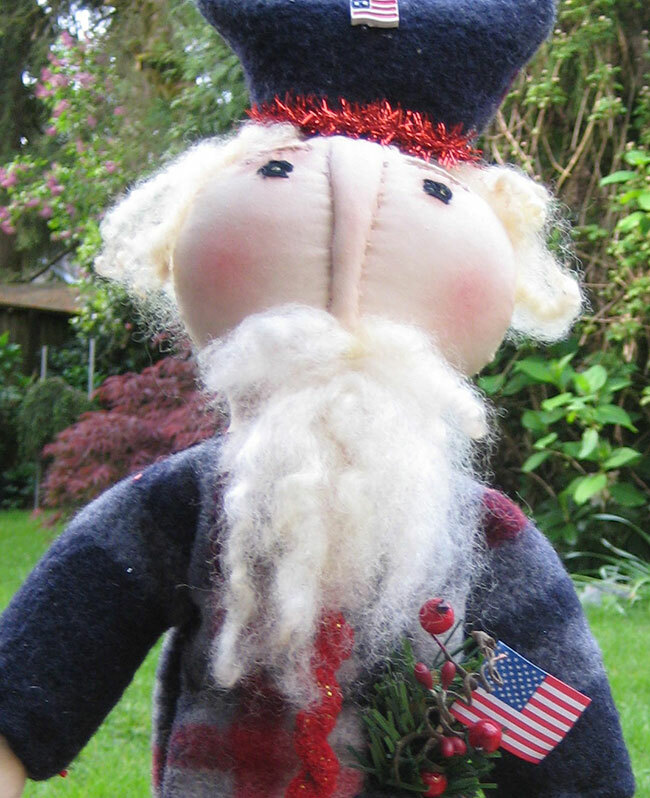 He's ready to celebrate the 1st of July in his matching party hat and scarf... He has our beautiful Country's symbolic maple leaf hanging from his beak, I finished off with a light sprinkle of specialty glitters to add a little sparkle. There is a wire loop on his back for easy hanging. I really love how this sweet Canadiana Crow turned out and so will you!